We have professional skill and our team are specialized in promotional gifts for many years. We have professional quality control system and use eco-friendly material . We always show enthusiasm ,devotion and dedication to customers and treat them like friend. Feature: 1. 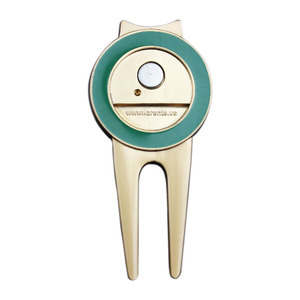 Center part with strong magnet inserted used for sticking the iron made ball markers. 1.When can I get the price9 We usually qoute within 24 hours after we get your inquiry. If you are very urgent to get the price, please call us or tell us in your email so that we will regard your inquiry priority. Processing Stamped brass and iron, die casting, photo etching, printing, laser engraving etc Size Thickness is ordinary 2-5mm. It is long time that we supply the metal promotion for the Disney,America Apple company,Wal-Mart Stores under signing contracts. Sample Room 2016 HK Fair Plated Color Referen Plant and Process If you have any questions please feel free to contact me. Thus we are in a position to accept orders against customers' samples specifying design, specifications and packaging requirements. Accept orders for good with customer' own trade marks or brand names are also available. 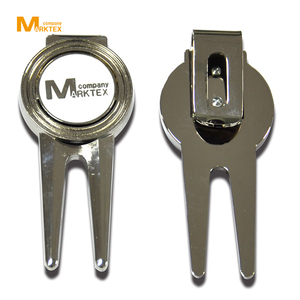 In a word, customer are available to decide the material, logo, size, shape or process. 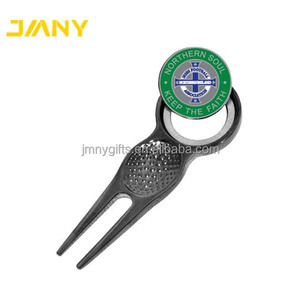 Wholesale enamel ball marker zinc alloy golf divot tools We mainly make custom metal coin, challenge coin as gift, souvenir. You can put your name, logo design, mottos or other symbols on the coin, which can be one side or double sides. (8) Strict management system to supply you high quality products and on time delivery. Fine workmanship & elegant appearance. To increases the abrasion resistance. To increase the corrosion resistance. 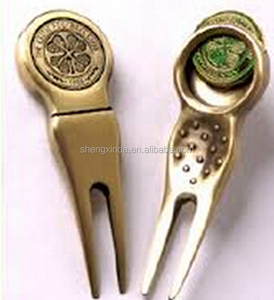 Alibaba.com offers 2,839 zinc alloy divot tools products. About 89% of these are other golf products. 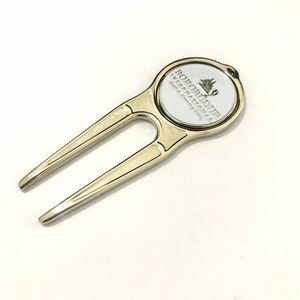 A wide variety of zinc alloy divot tools options are available to you, such as free samples, paid samples. 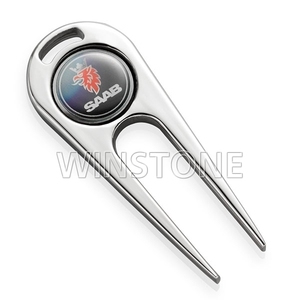 There are 2,838 zinc alloy divot tools suppliers, mainly located in Asia. 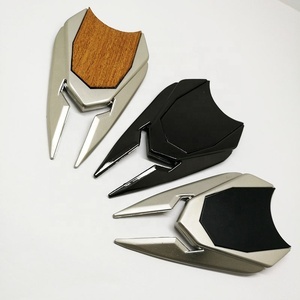 The top supplying countries are China (Mainland), Taiwan, and Hong Kong, which supply 98%, 1%, and 1% of zinc alloy divot tools respectively. 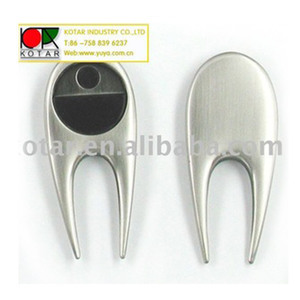 Zinc alloy divot tools products are most popular in North America, Western Europe, and Eastern Europe. You can ensure product safety by selecting from certified suppliers, including 182 with ISO9001, 136 with Other, and 40 with ISO14001 certification.